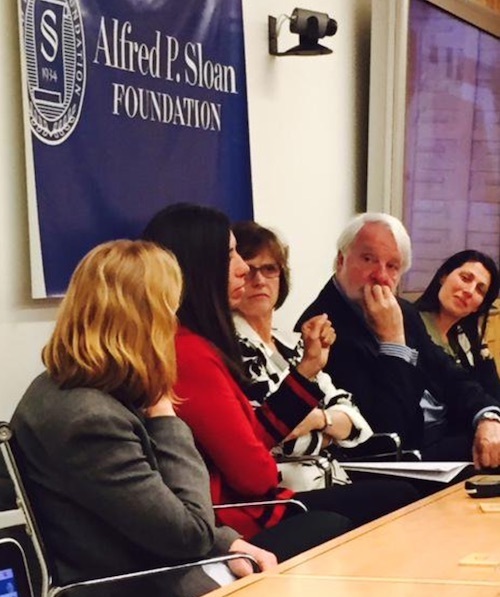 On April 17,2015, emerging and established leaders of engineering biology came together at the Alfred P Sloan Foundation in New York City to lay the groundwork for accelerating progress in this highly important field. The success of such an endeavor lies in the ability of the public, private, philanthropic and academic sectors to work together on foundational and applied research, industry collaboration, infrastructure, policy development, education, and public engagement, amongst other topics, with a special emphasis on how to mobilize the resources the community needs to realize its potential. The Agenda setting forth the topics discussed is attached as Appendix A to this executive summary of the meeting. Attendees included nearly 60 scientific, business, governmental and philanthropic leaders with a strategic interest in the development of the field. Industry representatives included instrument and tools providers, as well as start-up and mature companies engaged in the development of products for a variety of industry segments, including specialty chemicals, energy, agriculture and bioremediation. Although not every perspective on every topic discussed throughout the day could be captured, the most common themes discussed are represented in the executive summary. This conference was an outgrowth of a one-year sustainability initiative led by Nancy J Kelley + Associates (co-funded by Synberc and the Alfred P. Sloan Foundation). The purpose of the initiative was to develop a strategic action plan to advance the field of engineering biology in the U.S.